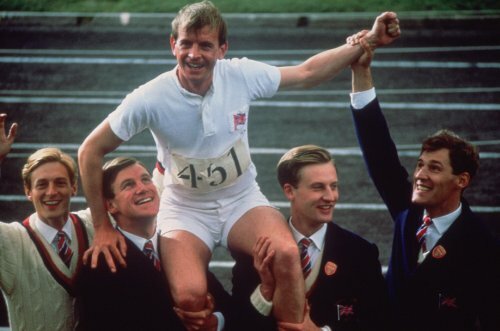 Fox is re-releasing the classic movie, Chariots of Fire, to celebrate the fact that London is holding the Olympic Games again. yes, it does feel like a crowbared tie-in to get some of their old back catalogue back into cinemas. Eric Liddell is a devout Christian who believes that his athletic abilities are a gift from God, and that using that gift to its fullest extent - to win the gold medal - will be his way of glorifying God. Harold Abrahams is an English Jew, a student at Cambridge, who dreams of fame and of proving to his anti-Semetic fellow students, and to the world, that Jews are not inferior. Their motives are noble. Their commitment is total. Their integrity is unquestionable. They will both make personal sacrifices to achieve their goals. In the process, through all the obstacles and personal issues they conquer, they prove that striving for victory with such commitment and lofty goals is, perhaps, its own reward.